“Closing the loop” prototype: an upcycling production line consisting of a plastic shredder, extruder and 3D printer demonstrates how the shoe industry of the future can take advantage of recycled plastics. What does the waterproof “Shoe 4.0” of the future look like, if it can be ecologically sustained within a closed loop system at the same time? At its exhibit booth (hall 1 booth 300) during the 2019 ISPO, Sympatex will offer a potential answer to this essential question with a production line consisting of a plastic shredder, extruder and 3D printer to demonstrate the recycling value of plastic waste in the shoe industry, once again doing justice to its role as an undisputed pioneer in the field of sustainable functional textiles. The study illustrates how in the near future a waterproof shoe can be created from recycled materials using a modular design concept, and then broken down into the individual raw materials again with little effort. 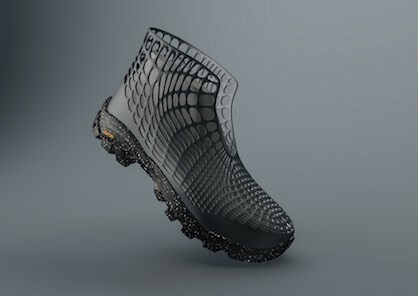 “Shoe Design 4.0” is one in a series of numerous lighthouse projects that Sympatex has recently used to show just how far the fashion and outdoor industry can already come in manufacturing and designing sustainable, waterproof apparel and shoes that are highly functional at the same time. To illustrate the amount of valuable raw materials that are still being carelessly thrown away today, as partner of the ISPO Sport Week, Sympatex is collaborating with Munich-based sporting goods retailer Globetrotter to organize a plogging event (collecting waste while jogging) the day before the trade fair kicks-off. Sympatex has invited Erik Ahlström, Swedish creator of plogging, to join engaged consumers to collect waste during a run through the center of Munich. A portion of the collected waste will be brought to the Sympatex exhibit booth, where the PET plastic will be shredded on-site and extruded to a filament, which will then be fed into a 3D printer. In the next step, the printer will produce an outer shoe material that together with UtmosphericTM – the recently introduced seamless and waterproof Sympatex inner shoe – will represent the basic element of a waterproof shoe. The sole of this sustainable shoe is a Vibram sole, realized in Ecostep compound, a special compound made of a minimum of 30% recycled rubber. The Italian company Vibram, world leader in the production of high performance rubber soles, is heavily focused on sustainability and is very pleased to support Sympatex for this initiative. Vibram itself is engaged in a program called “the sustainable way”: it’s a concrete plan to improve sustainability performance that accurately identifies the activities and projects to undertake as company in the short, medium and long term to guarantee economic growth whilst respecting people and the planet. ISPO visitors are cordially invited to follow the production process for this waterproof, upcycled “Shoe Design 4.0” live over the course of the four-day trade fair at the Sympatex exhibit booth. “Each year, 23 billion* pairs of shoes manufactured from new raw materials are thrown into the trash at the end of their life cycle, or in most cases incinerated in open fires, an extreme waste of resources that also pollutes the environment, and an absolutely irresponsible approach when one considers the more sustainable alternatives that could be implemented by the industry,” explains Dr. Rüdiger Fox, Managing Director at Sympatex. “With this new lighthouse project, we want to rouse the industry and spur our market partners into a creative dialogue and collaboration. While Sympatex is not a shoe specialist, our development activities over the past few months have shown that a conscious decision is sufficient to pursue new paths toward industry-wide, sustainable shoe production based on a closed loop system. Reinventing ourselves as an industry in such a way is similar to the way Tesla is revolutionizing the automotive world. But time is running out – and together we can succeed,” adds Fox.